Most weight loss cases are driven by desperation to burn off the kilos as fast as possible. While it's good to start taking control of your life, but the thing is that you can't lose all the weight you gained over the years, in a few weeks. People don't understand this and start trying their luck with various diets. In case you are gloating over your extreme weight loss in a couple of weeks, here's what you should be worried about. Losing weight too quickly also results in muscle loss. Weight loss does not necessarily imply fat loss only. In fact, most crash weight loss cases lose more muscle mass than fat. In a study conducted on two groups of people where one group was given 1250 calorie intake and another 500 calorie intake, the total eight loss was similar. However, the group that consumed very low calories had lost over six times the muscles mass than the other group. Therefore, it is not smart to go on a very low calorie diet as it may make you lose muscle mass also. With muscle loss, comes slow metabolism. Since your body does not have muscle, it needs fewer calories to maintain them. Your metabolic rate determines how many calories you'll burn every day, at rest. Multiple studies have established that going on a diet that is too low on calories slows down your metabolic rate and you may burn 23% lesser calories per day. 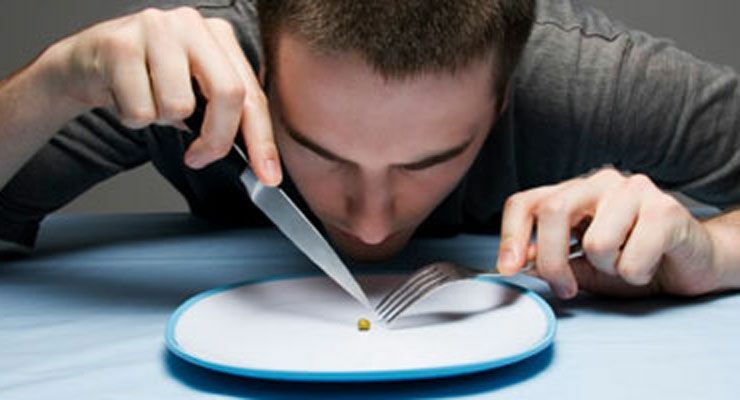 Extremely low calorie diets also impacts your thyroid hormone which also slows down your metabolic rate. The problem is very serious as this slow metabolism tends to prevail for a long time even after you have finished dieting. Therefore, though you may lose weight quickly, you may regret it later. If you go on a very low calorie diet for quick weight loss, it is difficult to maintain the optimum balance of all the nutrients in your diet. This is especially true for nutrients like Vitamin b12, iron and folate. The consequence of such nutritional deficiency is that you suffer from issues like hair loss, fatigue, poor immunity and poor bone health. The function of the gall bladder in your body is that it produces digestive juices to break down fatty foods to digest them. When you eat little food in order to maintain a very low calorie diet, your gall bladder doesn't need to release these digestive juices anymore. When these digestive juices don't release, they may form hardened pieces of material inside the gall bladder known as stones. This may cause severe pain and may need immediate medical attention. The other side effects that are linked to a very low calorie diets and quick weight loss are fatigue, irritability, dizziness, constipation, diarrhea and dehydration. If your aim is to lose weight and keep it off for the long term, you should aim to lose it slowly at a rate of around 1-2 pounds i.e. 0.5-0.9 kg per week. Researchers, over time, have established the fact that people who lose their weight slowly and with better eating habits tend to keep it off for a longer period of time. Though slow weight loss might not be too much appealing, but it is actually the correct way to do it. Also, try to lose under the supervision of an expert rather than doing it yourself by an unbalanced diet and the regretting in future. Anuj Tyagi is a Certified Personal Trainer, Certified Sports Nutritionist and Therapeutic Exercise Specialist From American Council on Exercise (ACE) . He is the Founder of the website where he provides online Training. Though a Chartered Accountant by education, he has been closely associated with Fitness Industry since 2006. His motto is to transform people Naturally and he believes that the secret formula for Fitness is Consistency and commitment towards your Training and Nutrition. You can connect with him throughFacebook and Youtube.